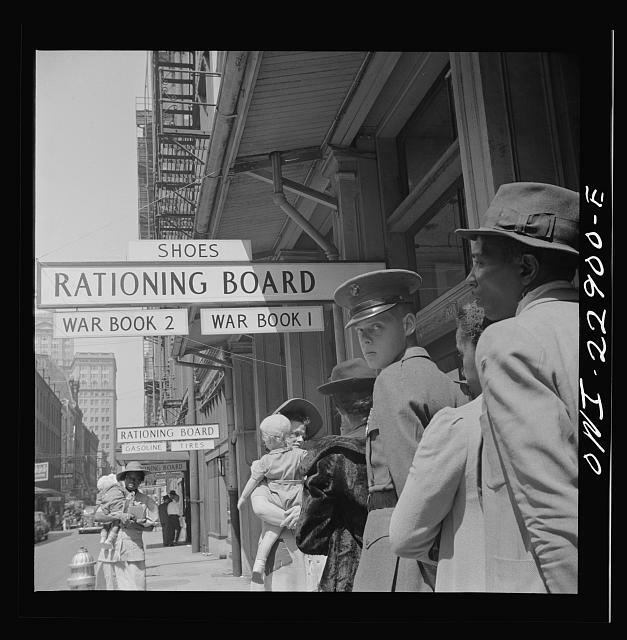 Photograph that depicts line-up for ration cards in New Orleans, Louisiana during WWII. Image online, courtesy the Library of Congress website. Bos, Carole "Standing in Line for Rations" AwesomeStories.com. Oct 07, 2013. Apr 19, 2019.